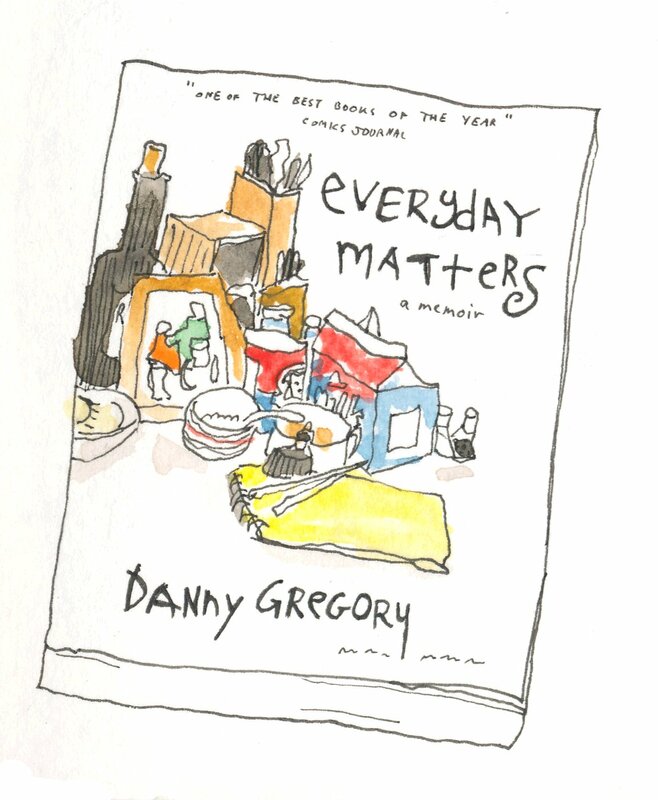 Summer 2009 – as I was browsing in the art section of a local book shop I came across Danny Gregory’s latest book. 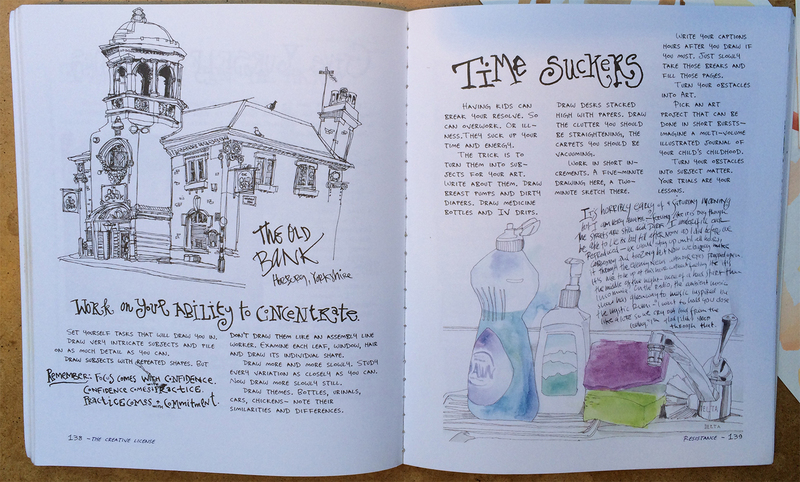 I have always considered myself a keen sketcher, but had lapsed. Lapsed into occasionally taking my sketchpad and pencils away when we went on holiday, and even then perhaps only using them once or twice. 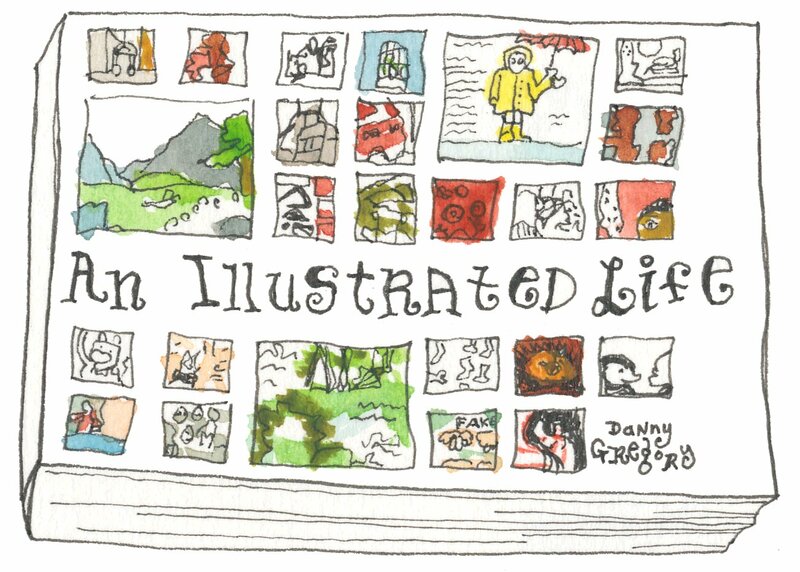 ‘An illustrated Life’ was a revelation; here were artists and creatives who were sketching every day, using a sketchpad like a doodle book, keeping a record of anything and everything. Drawing life around them, using whatever materials they wanted. 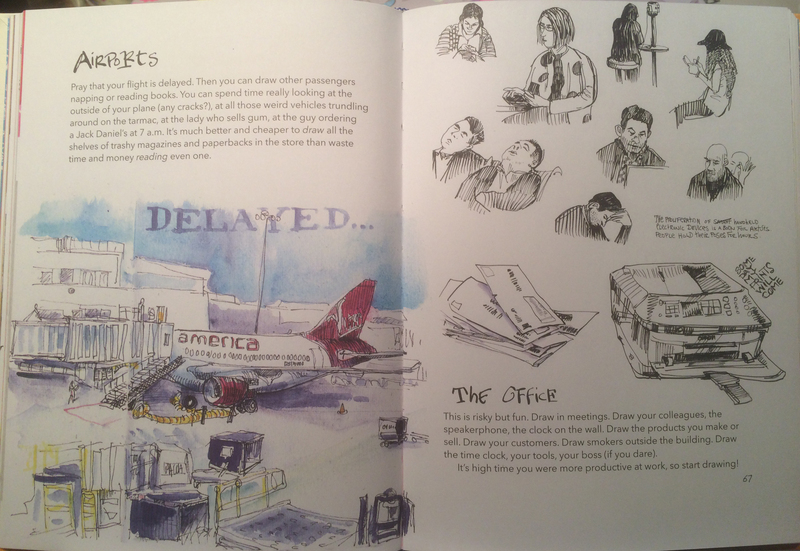 … and I recognised something in Danny Gregory’s style, something familiar. 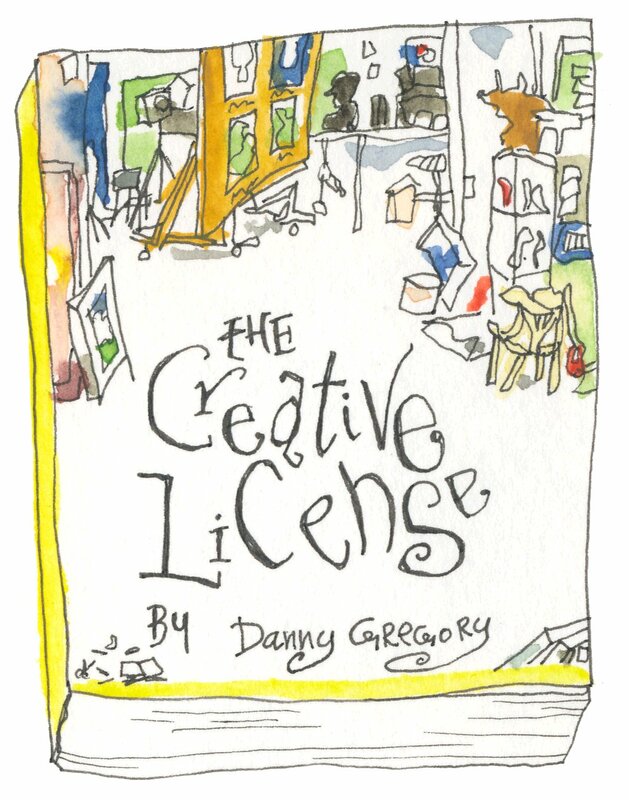 I remember sitting in the bookshop pouring over Danny’s introduction, pouring over the examples of his drawing and saying to myself that his style seemed similar to my own. 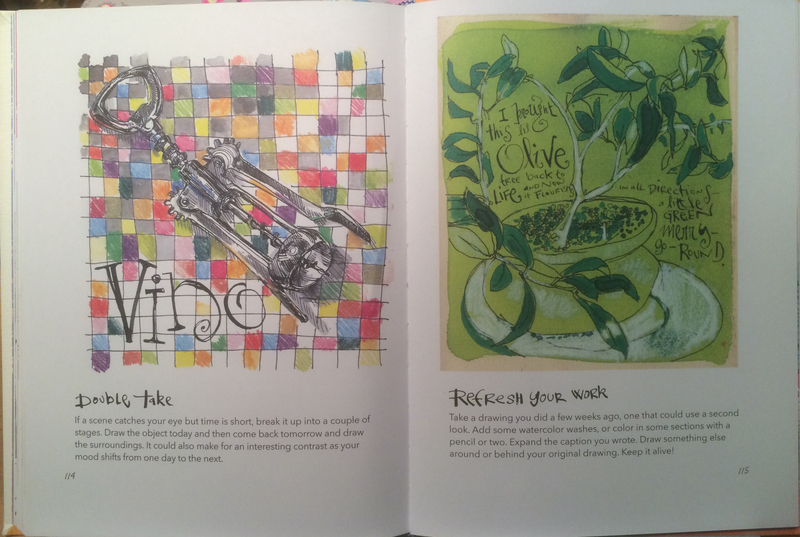 I fell in love with the idea of keeping a sketchbook journal. There are 50 artists profiled here. 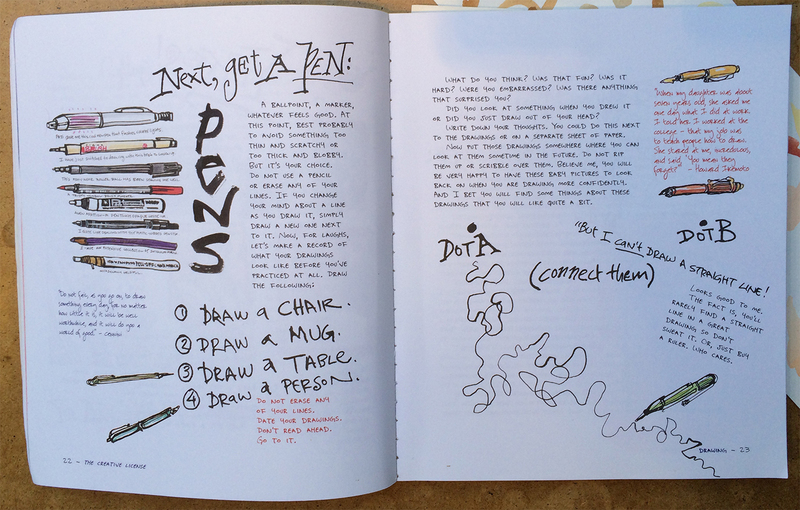 They each have about four to six pages in which we see multiple pages from their sketchbooks and journals. We also find out about why they draw, what materials they prefer and something of their philosophy too. 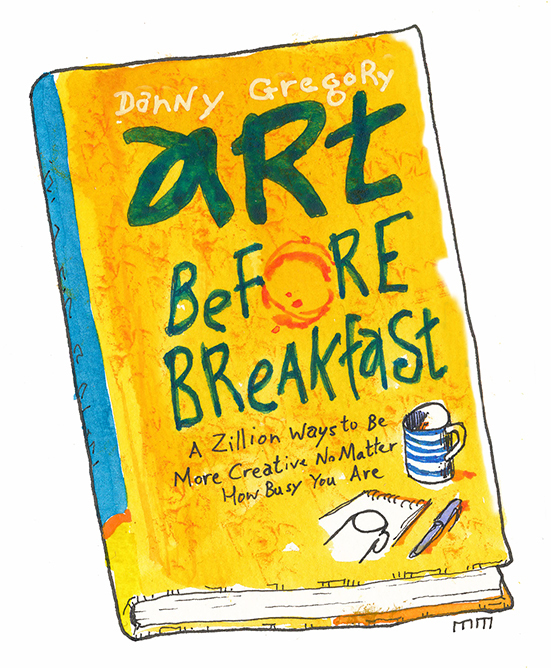 In addition to the book – At the time Danny interviews several of the contributors and released them as podcasts. As far as I’m aware these are no longer available on iTunes, but they may be lurking around somewhere on the internet.